We are the home practice facility for the NCAA Division 1 Men's Ice Hockey Team. We provide the local communities recreational ice for 10 months out of the year with many public & private skating events, and support our local youth hockey and figure skating organizations. Interested in joining an Adult Ice Hockey League? Visit the Mullins Center Adult Hockey League website at www.mcahl.com! Interested in figure skating? 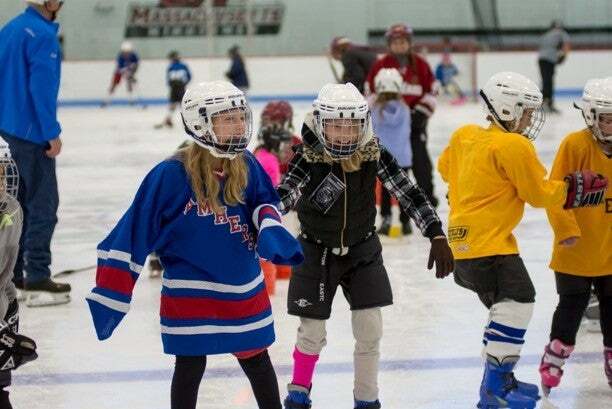 The Skating Club of Amherst offers a Learn-to-Skate program as well as private lessons for recreational and competitive skaters of all ages. For more information, please visit their website at http://www.scamherst.org or call 413-253-6388.